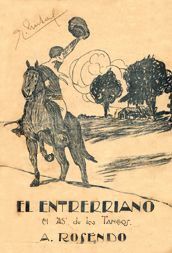 “El Entrerriano” of Rosendo Mendizábal, by Juan D’Arienzo y su Orquesta Típica, recorded in 1946. He was referring to Ricardo Segovia, a landowner from Entre Ríos, who was making whoopee in the Buenos Aires nights. Mendizábal told him he would honor him by naming “El entrerriano” his new tango. Read more, click here.